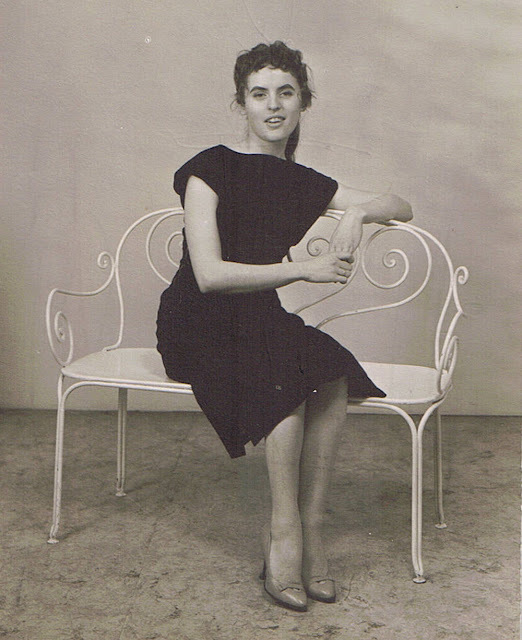 This is my beautiful grandmother when she was just a young woman. I love her very much and I'm proud to share this gorgeous picture of her. She's always been an incredible woman, supportive, nurturing, caring, the perfect grandmother. I love this photo of her as I think she looks just stunning with her cute curly bangs, long ponytail, painted eyebrows and in a classic black dress.